Auction sniping is one of the greatest annoyances faced by online auctioneers. For those of you who don’t know, sniping is the practice of waiting until the last possible moment of an auction to place a bid, so as to prevent other bidders from competing and driving up the price. It is possible for sniping to be carried out both manually, and automatically by special software. Sniping often results in items selling for a dramatically smaller amount of money than they would have done otherwise and thus represents a significant problem on Internet auctions. Fortunately, there are a number of ways to discourage sniping and even prevent it entirely. If a bid is placed during the final moments of an auction then the auction can be extended for a specified amount of time. This gives other bidders a chance to compete with any snipers, and prevents snipers from automatically winning an auction. Your lot is therefore much more likely to fetch a fair price. An overtime period can even lead to fierce bidding wars that elevate the final price far beyond what was expected. This method of prevention is not flawless. Snipers may well simply wait till the end of the overtime period to make their final bid. Our own overtime feature can bypass this problem by allowing bidding to carry on indefinitely until no additional bids are received for a certain amount of time. Having a Buy Now option can discourage snipers, as it means somebody else could arrive at any time and purchase a lot for a fixed price. However, Buy Now is sometimes only available up until the first bid is made for an item. Snipers are therefore able to place a minimal first bid for an item and then snipe at the end of the auction. If you want to fight against snipers, it’s wiser to keep the Buy Now option available at least until the price has been surpassed in bids. Providing bidders with the opportunity to use autobidding can prevent sniping. Autobidding is a form of absentee bidding used on online auction sites, in which bidding is carried out automatically by a computer. A bidder can specify a certain maximum bid they are willing to make, and the computer will outbid other users up until the maximum price is exceeded. Other participants are unaware of the autobid. If someone sets their maximum bid to a high amount then it is unlikely a sniper will be able to outbid them. This is because the sniper will set their final bid to just slightly higher than the current bid, and below the amount of the maximum autobid. Implementing a reserve price for items up for auction will prevent snipers from winning lots for a low price. A reserve can either be visible to all users or invisible (i.e. participants are unaware of the amount of reserve price and whether their current bid is above or below reserve). Alternatively, the exact reserve price could remain secret, but bidders can be told whether or not the current bid is above or below reserve. A reserve has the effect of either discouraging snipers from bidding at all or forcing them to bid at or above the desired reserve. However, it should be noted that a reserve price can also significantly discourage general bidders from taking an interest. Setting your minimum bid to an amount you are genuinely willing to accept as the final price also lessens the impact of snipers. However, as with a reserve price, a high minimum bid can also significantly reduce interest from general bidders. Making it obligatory for bidders to pass a CAPTCHA test prior to entering their bid allows you to sift out automatic bidding software. This entails a computer asking users to complete a simple test – usually typing in a string of letters, numbers or words shown to them in a graphic. If they pass this test they prove they are a human being and are permitted to make a bid. This is an archaic form of auction that has in recent years seen a rise in popularity on the Internet due to its effectiveness in preventing sniping. 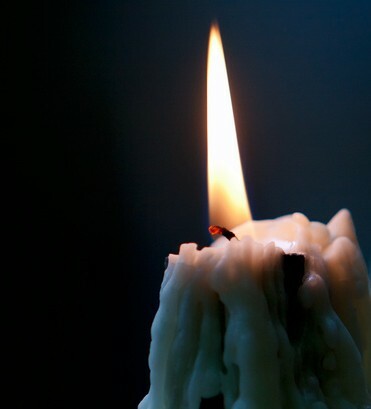 Traditionally, a candle is lit at the beginning of the auction and the auction ends as soon as the candle’s flame expires. Participants never know when a candle auction will end so this encourages them to make serious bids from the start of the auction. Some online auctions use a modern variation. In the modern variation the computer selects at random the time at which an auction will end. As they have no idea at what time the auction will come to a finish, snipers find it impossible to deliberately enter a bid at the very last moment. Finally, perhaps the most obvious way in which to discourage auction sniping is to state within the site terms and conditions that sniping is not acceptable and bidders suspected of being snipers will be blocked. Snipes made at the last moment of an auction can be deleted and the auction can be extended or held again. You can read about our auction product range and auction features here.